Deb's Cup of Tea: She is a fickle mistress. She is a fickle mistress. I mentioned I'd been writing this past weekend. I have no idea of the word count but it turned out to be 32 pages on the computer and was 2 chapters in this on-going story. These are the opening paragraphs of each chapter. Chapter 1 - There we were, minding our own business, Skipperdo, Superkind, Junas and myself, taking a stroll through Elwynn Forest. It was a lovely sunny morning and we were on our way to Westfall as we heard some horde was making life miserable for lowbies just trying to find Goretusks with livers. Chapter 2 - A hum, like a deep vibration, stirring the dust on the ground. Chapter 3 - “They should be in here,” said Zelde as she turned into the Pig and Whistle. Her companion nodded. “Usually are,” came the sardonic reply. Chapter 4 - The light changed slowly as Gimmlette felt herself on solid ground. The silvery white light of the teleport gave way to a greenish white with blue undertones. The bar sounds gave way to the call of songbirds. Chapter 5 - Drexthorian leaned back in his chair. The remains of a feast of mana biscuits, tundra berries and Dalaran clam chowder nestled amongst the mugs of Darkmoon Special Reserve on the table in front of him. Chapter 6 - The gryphon lifted off easily from Shattrach City and flew north. As it passed from Terokkar Forest into Zangarmarsh, Superkind felt the sting of rain. Below him, the misty landscape unfolded and fog draped the shoreline of the lakes. It was always rainy or misty or foggy or some other such wet weather in Zangarmarsh. But, once he and Drex made it to the rim of the world, that would be gone, replaced with the chill of the emptiness that stretched beyond the edge. Chapter 7 - Memooshu jumped back as Zelde bounded off the gryphon at Light Hope’s Chapel. She almost didn’t wait for the bird to land before hopping off which earned her a very disapproving glare from Kaelyn Steelwing, gryphon master. Zelde smiled sheepishly, mounted her war bear and rode a few dozen yards down the remnants of the road in front of the chapel. She turned to look back at the gryphons. The human DK who had been startled at her arrival was gone, no doubt off to other adventures. Chapter 8 - It was a blast of hot air off the plains of The Barrens that awoke Gimmlette from her deep thought. She looked around. “How much further to Theramore?” she wondered. Crossroads appeared off to the right. It was going to be a hot day on the plains if the midmorning mountain air was already this hot. Chapter 9 - The Mistress of the Mines looked Rineva over very carefully. She muttered something but waved the warlock onward. Amaera stood at the junction of the two cart railways. Chapter 10 - Skipperdo opened the letter. “Nice,” he thought. “Gimm’s on top of things. Wonder how she’s doing getting an audience with Thrall?” He pocketed the letter and picked up one of the bags of herbs. Chapter 11 - Gimmlette just stood looking at the ambassador from the League of Arathor. Tired. That’s all her brain was registering. The ambassador waved. Gimmlette couldn’t muster a wave back. In case this doesn't make a whole lot of sense, and I'm sure it won't completely, the framework for this novella is my World of Warcraft guild. Chapter 1 started as a joke. The author of part one of Chapter 2 had been missing from guild events for over a month. We didn't know why. He wasn't responding to emails and, as I have his phone number, one or maybe 2 phone messages. He is busy. He lets me know when his schedule is spottier than chicken pox, but, last year, we had heard nothing. Of course you start to worry. I've known Daniel for over 2 years now and you do wonder if something has befallen those you may know only as an avatar in an online game. 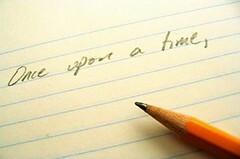 One day at work, when it was particularly slow, the idea for a very short story came to me. As Daniel plays a healer, I would write a story where the most innocuous of bad guys kills us because we didn't have healing. Jonathan, Bill and Javier thought the story funny so I sent it to Daniel with the title, "If Only..."
Unbeknownst to us, Daniel was battling swine flu. He was so sick, he couldn't get out of bed to let any of us know he was sick. By the time the story reached him, however, he was up enough that he could pen a few lines about coming to resurrect us after we had "died". I added another section to what he penned and then had an idea for Chapter 3 and, well, the rest, as they say, is history. I cranked out Chapters 10 and 11 over the weekend instead of attending the neighborhood BBQ to which I was invited. In working on the story, which is about half done, I would guess, all other writing falls to the way side. Eating does too and I forgot to take my anti-inflammatory on Sunday because I awoke and went right to the computer to get the words exploding in my head onto the computer screen. Does writing on a computer make me more productive? Possibly. People were absolutely amazed that there was a Chapter 11 posted on the guild's web site a day after Chapter 10 was posted. 10 has been the longest to date, but there was a lot of ground to cover, a battle and a bit of plot explanation to be shove into this chapter. When I write, I write. I checked the Seed program which has paid me $70 to date and there just weren't any topics that caught my eye as being exciting enough to write about. The muse is a fickle mistress. I may not write on the novella for another week, although the bits of Chapter 12 are pulsing around in my brain even as I type this. I wrote Chapters 8 and 9 at the office in the spring. The muse demands to be heard when she will be heard and then I must listen as long as she's willing to speak. When she goes away, I can write for Seed or something else or do other things knowing that she's watching for the time to come forth with new ideas. I don't know if that's how other writers do it. I'm told that "great" writers often forced themselves to write even when they didn't want to. Carole did that National Novel Writer's Month exercise in November where you are challenged to write 50,000 words in a month. There's no editing, just writing. I don't know if I could do that, although I've thought of challenging myself to attempt it. So, if you were looking for posts from me over the weekend, that's why there weren't any. The muse was sitting on my shoulder, whispering into my ear. Skipperdo finished his bandaging as the shield hit the demon. He looked up in the direction of the noise and saw the sky shift, grow dark and then resume the indistinct shape of Hakkar. The panther’s attention was turned toward the shape. Skipperdo extended his right arm, chanted some words and a large column of fire streaked downward onto the panther. It staggered. Minmax beat on it with his sword as his ghoul collapsed. Skipperdo extended his arm again and another column streaked downward on top of the panther. Minmax looked at him. “Oh, okay. Hey Min? Another column incoming,” Skipperdo called. The only thing I know about this story is how it ends. No, I won't tell you. Too many of my guild members read the blog. I don't really have a road map for getting from where the last chapter ended, “Well then,” said Minmax. “Let’s begin our day.” and the group crowded around Tizzy before fanning out to finish step A." to where the whole thing ends. The muse dictates and I write. Weather doesn't matter. Time of day doesn't matter. She comes when she comes and then can, just as quickly, decide she's off to investigate something else. I've become used to this. I went through years of not writing so I am thrilled the muse is back even if she is rather fickle in her appearances. I always think, when I'm in the grips of word lust, that I can get this novella written by X date. I've seen enough of those arbitrary days slip past to say, "It will end when it ends." And then, I am certain, the muse will find something else for me to write. She's good to me that way. Never order something because it's cute. It's amazing what you get used to. There was some rain overnight on Friday. Yes, that is what that is. If I didn't have cats. I decided to be honest. Well that answered that question.